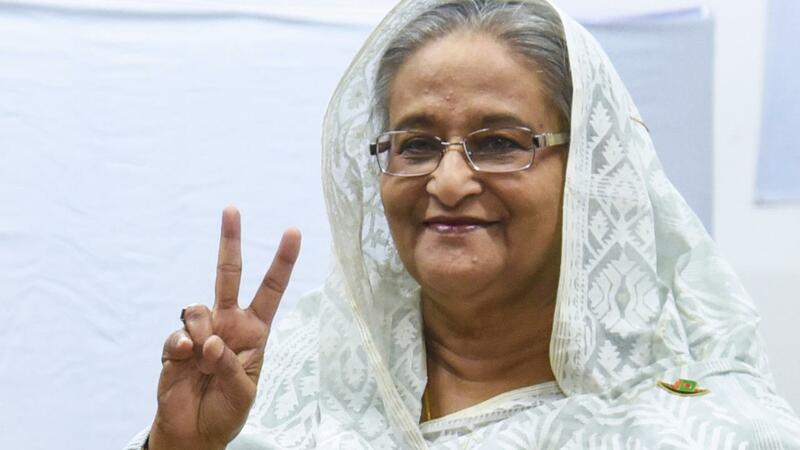 The 71-year-old Prime Minister Sheikh Hasina won the elections in Bangladesh for the third time, according to the election committee. The leader of the opposition party BNP already declined the outcome of the polls. He called for a new ballot box. Supporters of the ruling party Awami Liga and the BNP fought each other on Sunday in different parts of the country to gain control over the polling stations. Indeed seventeen people were killed. In some places, the votes were interrupted because of the violence. A polling station remained closed because the ballots had been stolen. The authorities interrupted access to mobile internet in Bangladesh, according to the Telecommunications Authority, to prevent the spread of rumours. Approximately 104 million of the 160 million inhabitants of the South Asian country are eligible to vote. More than 1860 candidates are in the race for a total of 300 seats in parliament.